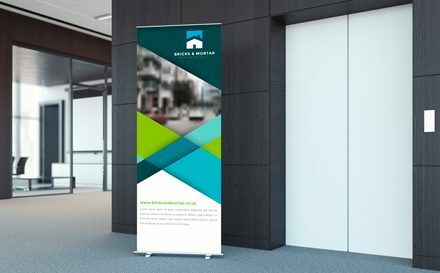 Whether you require large format printing for a launch event, sponsorship promotion, exhibition or other business event, it is a great way to help your business stand out from the crowd and be noticed. From roller banners to posters, media walls and signage, large format printing can help you ensure your brand grabs the attention of your target audience. Designing your large format printing can be a little more challenging than designing for regular print and there are a few tips that can help you ensure your large format printing design goes to plan and is the best it can be. When designing for large format printing, using vectors will make the process a lot easier and will ensure high quality is maintained throughout your design. Vectors record geometric instructions as opposed to normal images that use pixels, this mean your designs and logos can be scaled up and down with no loss of quality and can also help keep file sizes to a minimum. Using vectors when designing large format printing also means you can design small for the proofing and print sample stages and then scale up for the final print. Another benefit of using vectors in design is that your large format print design can be used to replicate small print materials to support your campaign and ensure consistency with design across multiple campaigns. Large format printing needs to capture the attention of your target audience from a distance, therefore it is imperative you ensure your large format printing can be easily read from a distance. While we are talking about text, it is also important to keep your text to a minimum, use your large format printing to convey your key messages and attract attention, once you have attracted attention you could hand out leaflets that are a lot more detailed and can be taken away and read at leisure. It is important to test how your images will appear at a distance, the best way to do this is by printing a sample so you can judge what needs adjusting and make any tweaks before the final print. Think about how far away your audience will likely be and replicate that scenario when proofing images and text from a distance. Ensuring you allow for bleed is important whatever the size or format of your print marketing materials, but it can often be overlooked when it comes to large format printing. So make sure you have allowed for bleed in your design, not allowing for bleed can result in a white border around images or the image being cropped. We can supply large format printing including banner stands, pop up display systems and posters. Whatever your large format printing display print requirements, we can print and deliver quality large format display graphics quickly. We have been printers for over 25 years and are based in Redditch, just outside Birmingham. We can print high quality posters on a variety for print mediums. Poster printing is available in A1, A2, A3, A4 and A5 sizes. All posters are printed in full colour with either single sided or double sided option. Our range of print mediums including; Backlit, Canvas, Flag, Mesh, Poster Paper, PVC Banner and Vinyl. Finishing options include; Encapsulation & Lamination. Mounting options available include; Acrylic, Dibond, Correx, Foamex and MDF.